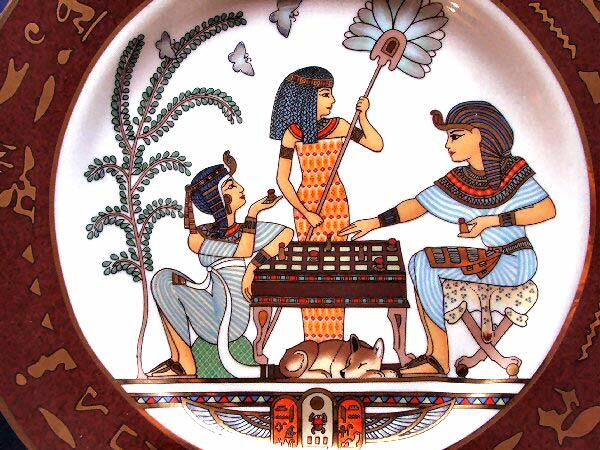 Its Name Brings to Mind a Region in France Where Fine Limoges Porcelain is Produced. A Place of Beauty, Romance and Superb Artisans on Every Street Corner Sell Their Artworks. 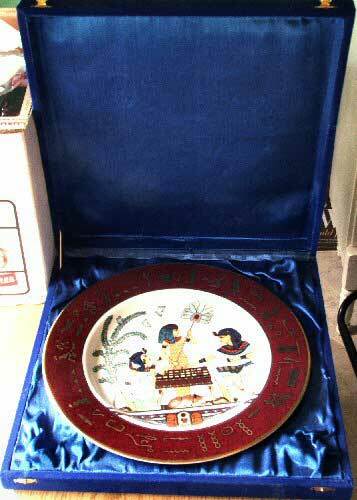 This One is a Gorgeous Charger with LOTS of Gold Trim, and Comes in a Blue Velvet Heavy Duty Storage Box. 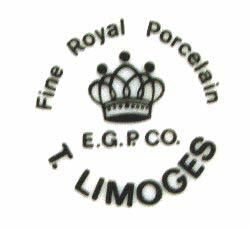 Stamped Fine Royal Porcelain Charger from T. Limoges & E.G.P. Co. It is in "Like New" Condition with No Chips, Cracks or Crazing. with Butterflys, and a Dog Laying Beneath the Table. 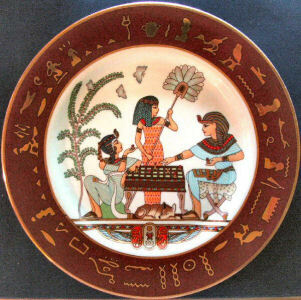 The Rich Auburn Border Around the Outer Edge of the Plate is Finished in Gold Hieroglyphics. Can'nt Find a Date Anywhere on this Piece But it has Been in My Collection for at Least 10 Years Now.